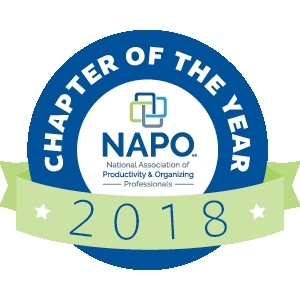 The vision of NAPO-DFW is to be known as the leading source of knowledge, support, resources, and networking opportunities for professional organizers, productivity consultants, and our business partners in North Texas. We provide meetings and programs designed for both new and veteran members as one way to meet our vision. Additional, we are always excited when guests join us! Be sure to look for the Guest Table at the meetings, so you can network with a Chapter member to answer your questions about being a professional organizer/productivity consultant, being a business owner, and being a member of our Chapter. Our monthly meetings are intended to expand the knowledge base and skills our professional organizers and productivity consultants to better serve their clients. Our meetings start with a meet and greet followed by introductions, announcements, member spotlights, and the program speaker. This meeting is open to the public. Optional: Dinner will be available for purchase. Whether you are contemplating becoming an organizer, just starting a business, or have been in business for years; this annual meeting is a must. The purpose is to answer questions you may have regarding starting and running an organizing business. This meeting is open to the public. This informative meeting is a member favorite! The purpose is to answer burning questions about the organizing and productivity industry. It is a great opportunity to share valuable information about your business and to learn from others. We may not have all the answers but we are here to help in every way possible! This meeting is for members only. We typically meet from 6:30pm to 8:30pm on the third Thursday of each month, except for December and July. December is reserved for our member-only Holiday Party. We usually take July off so members can enjoy time with their family during summer vacation. 1 Guests are welcome to join us for up to two (2) meetings, after which we will ask you to join us as a member. 2 NAPO members who are not NAPO-DFW members are allowed to attend one NAPO-DFW meeting as a guest at no charge, if the meeting is within 60 days of joining NAPO. This meeting will count toward the limit of two meetings as a guest, before joining NAPO-DFW. NOTE: NAPO-DFW accepts payment at the door by cash and checks. You can also pay online through PayPal. NAPO-DFW will occasionally host or sponsor a Texas Regional Conference. Additionally, attendance at the annual NAPO conference is encouraged. Whether you are a newcomer to the profession or have years of experience, these conferences have something worthwhile for you. You’ll have the opportunity to connect, learn, and share experiences with colleagues. 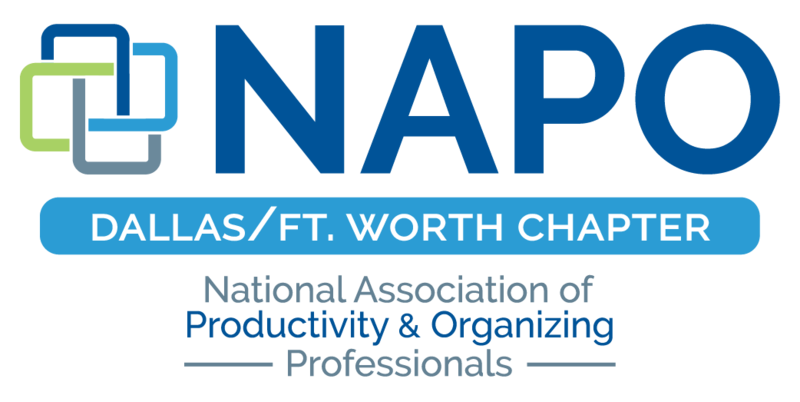 NAPO-DFW will hold special events throughout the year. Such events might include GO Month, Community Give-Back Organizing, Business Partner Presentations, and more. The purpose is to get involved with the community, raise public awareness, serve our neighborhoods, and build credibility and trust.